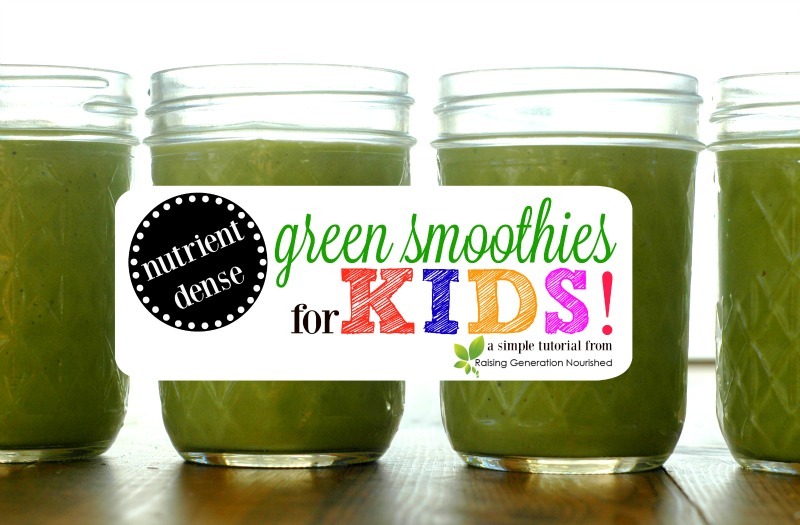 Your one stop tutorial for all things green smoothies for kids! Any flavor and nutrient packed for growing brains and bodies! Links in this post are affiliate links. It does not cost you anything and helps maintain the free information on this site, as well as answer the questions of “what brand do you use?” I was compensated products for my time and Perfect Supplements is providing the giveaway prize. Please know I never personally recommend any product or service I wouldn’t use on my own family. I literally thrive off of it these days. As my kids get bigger the “busy” has changed from the survival mode of the newborn season of life to the “busy” that comes along with one set of kids in school and preschool, and still another in the (very) busy toddler season. In an effort to streamline healthy, real food meals in my house, I have been working on making sure I’m not, in fact, in the kitchen all day. I have one kid in school all day that needs certain things packed, another kid in preschool half time that needs snacks packed and quicker morning breakfasts (*not* a morning person that one! ), and still another in toddler season that needs all of her meals at home – but gets to tag along on all of the “taxi” driving I do all day. 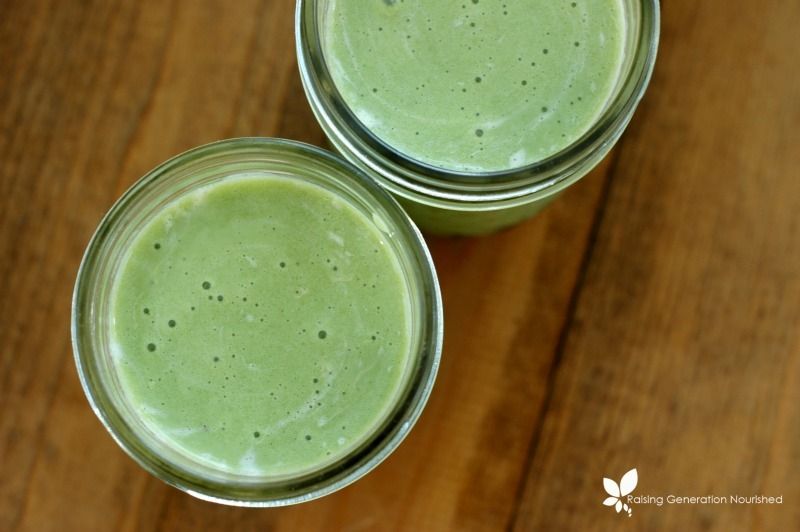 Especially for my younger two girls, green smoothies have become my staple on certain busier days of the week, as well as my back up when my planned cooking doesn’t happen. Smoothies used to completely intimidate me because of all the various different recipes. Have you ever been in the presence of a hungry 2 year old?! “Just a minute” doesn’t work with them. They want something to eat *now*. I needed a smoothie framework to pull from when it came to smoothies. I didn’t have time to pull up this flavor or that. I knew the nutrient dense components I always wanted to have included, so I figured out how to make *any* flavor green smoothie with all the same base and use whatever fruit or flavor I have in house or whatever is in season. Simple, right? 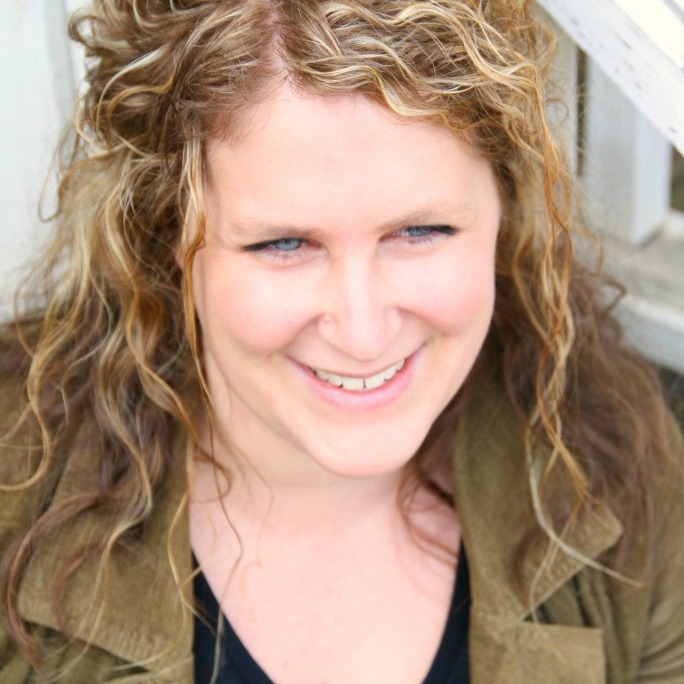 So what are my nutrient dense components and why? 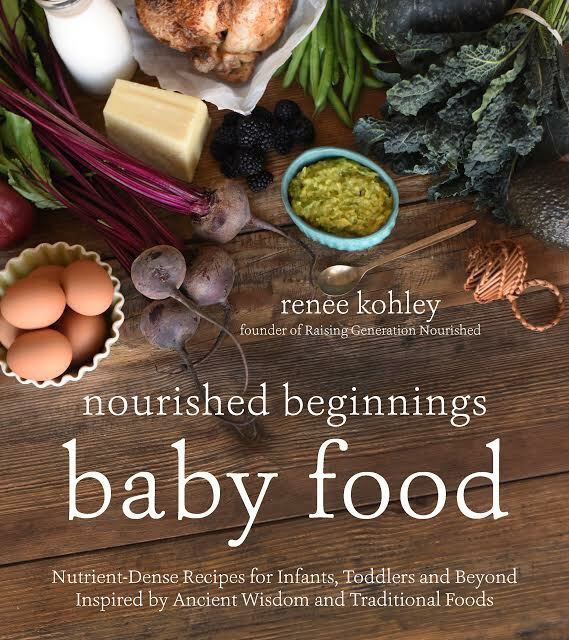 Rapidly growing children require nutrient dense food at every meal. Period. Empty calories or “filler” snacks to “hold them over” until the next meal don’t fly in my book. Even if this smoothie is to be a small snack, my motto of “make every bite count” still is in the back of my mind. Anything from raw milk, kefir, coconut milk, or yogurt for the liquid base of the smoothie along with an additional fatty add-in such as raw pastured egg yolk, coconut oil, or avocado oil. Coconut oil will change the flavor, though my kids like coconut and don’t mind it. Avocado oil is tasteless! All of the components from the “friendly fat” category provide vitamins and minerals, but children do benefit from vegetable mineral sources. Lightly steamed greens such as spinach or kale provide a gentle vegetable mineral source. (Lightly cooking the greens takes the oxalate level down. Greens should be eaten with friendly fat for better digestion and vitamin absorption which is covered in the friendly fat portion of the smoothie). You can keep a container of steamed greens in the fridge, or use blanched/frozen greens to make smoothie prep run quick. Anything from a scoop of nut butter to a pastured egg yolk counts, though I am a huge fan of using grassfed collagen in my smoothies. It is a simple, real food protein source that I can get into my kids that doesn’t make the taste change, and it doesn’t compromise my real food standards like other protein powders would. I love and use Perfect Supplements grassfed collagen in my house. It provides a great protein source, is tasteless, and collagen is also great for gut lining integrity just like bone broth! Win win! From there you can flavor your smoothie however you want! We U-Pick seasonal fruit every summer from berries to peaches that I keep in the freezer, and when that runs out I rely on the organic frozen fruit at Costco. We also love to occasionally make vanilla or raw cacao smoothies like a milk shake! I also keep a bag of frozen bananas – you know the ones that start going too ripe before you can eat them off the counter? Yep! 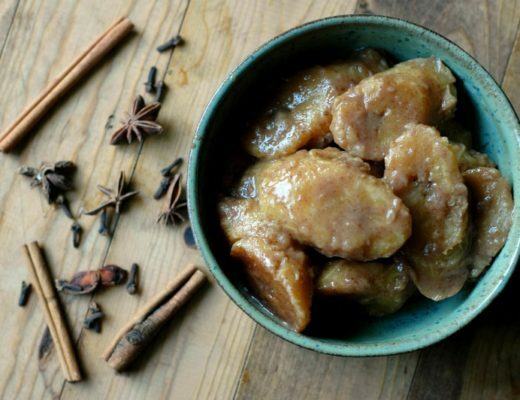 Just peel them, toss them into a freezer bag, and use them when you want! This is the serving that I make for my 3 girls, ages 6, 4, and 2 to split. 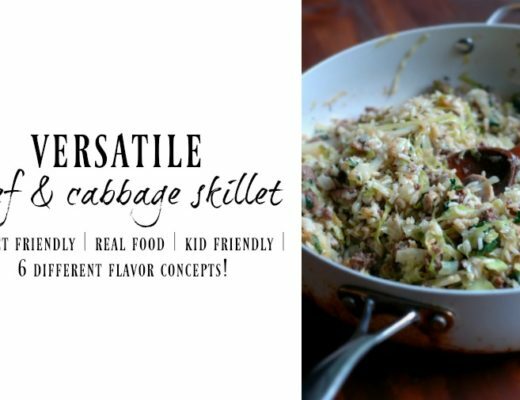 You can half if making for less servings, or double if you are making it for older kids with bigger appetites. 1-2 tbsp raw honey If you have a baby under age 1 that will be sipping on this, use pure maple syrup or just leave it out - trust me, their young palates won't miss it! Everything in your blender, puree until smooth and serve. After using a regular blender for years, I do want to mention that there is a huge difference in smoothness using a high powered blender like a BlendTec or Vitamix - they are a great investment to put on your birthday or holiday wishlist! Try a straw with the little ones like baby and toddler, and if they aren’t quite catching on yet, you can serve it with a spoon or medicine syringe – our local pharmacy gives out nice big medicine syringes for free! I love our shorter, stainless steel straws that are perfect for smaller cups, and these re-useable straws have fun patterns. I tend to keep any smoothies for my babies from 6-18 months mostly mango/papaya and banana. Raw berries, apples, cherries, and peaches that are typical fruit for smoothies have high pectin which can be tough on young digestive systems (which is why these fruits are recommended to be cooked for babies). 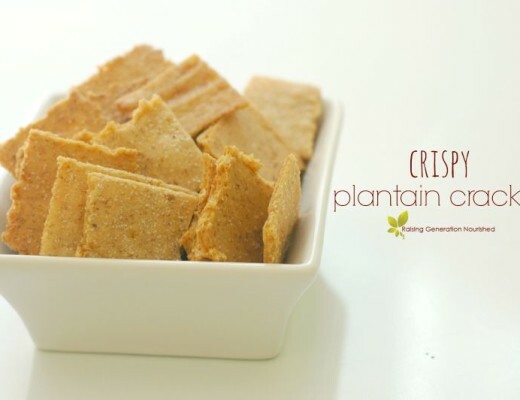 Mango, papaya, and bananas don’t have the high pectin so they work well. I get organic frozen mango at Costco. Serving cup suggestions. I have just plain not gotten into plastic cups. It might be the Montessori momma in me but you would be surprised at how a young baby/toddler can use a regular/glass open cup. I adore my small, small, 8oz jelly jars from Ball to use for all drinking – they are for canning jelly but they are the perfect size for little hands and great serving size for small smoothies. My big girls drink from pint mason jars . To make a raw cacao milkshake smoothie, instead of the 2 cups of fruit, use 1 or 2 whole frozen banana (or more if they are small) along with a 2-3 tablespoons of raw cacao – which is loaded with antioxidants and minerals by the way! To make a vanilla milkshake smoothie, instead of the 2 cups of fruit, use 1 or 2 whole frozen banana (or more if they are small) along with 1 1/2 tablespoons of vanilla extract. Freeze leftovers in small popsicle molds or little paper cups with a straw or popsicle stick for a great snack or teething aide. 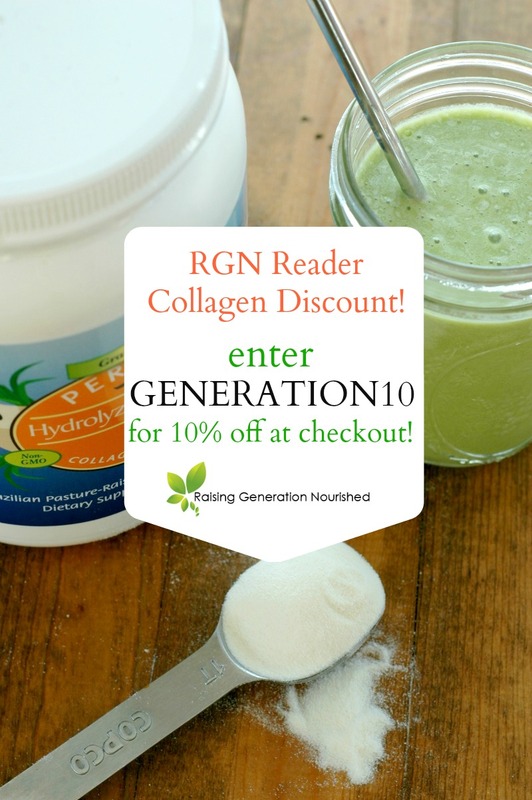 RGN READER 10% DISCOUNT ON PERFECT SUPPLEMENTS COLLAGEN! You guys know by now I don’t just promote any product. I am really picky about what brands I allow on my blog – I spent about 2 months researching and testing this Perfect Supplements brand of collagen, and I’m happy to bring them to you! Perfect Supplements is offering RGN readers 10% off their fantastic collagen! The price point is already great and you can add an extra 10% off! Just enter GENERATION10 at check out! Awesome Giveaway. I love adding collagen to smoothies plus this brand is awesome. Do you prefer this brand of collagen over great lakes collagen? Just curious which one is better? Hi Jamie! I do prefer this over Great Lakes – there is zero taste. More than a few teaspoons of the Great Lakes and you could taste a bit of gelatin flavor and this one you do not. The price is definitely right on this one too! Would love to try this collagen! Super excited about this giveaway! I love tossing collagen into my smoothies. It’s completely flavorless and textureless (is that a word? :)). The kids don’t even realize the power punch of nutrients they are getting in their smoothies. I’ve never tried this brand, would love to win! This sounds like it really sticks to your ribs! I need to remember more often to add collagen to my smoothies. Thanks for sharing! Already had this pinned but just repined to my giveaway board! Great recipes. 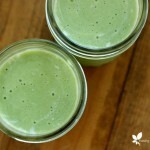 Yum.. a GREEN monster smoothie! Bet my kids would love it! I’m excited to try this recipe as I’ve been seeing all those pics of your girls drinking smoothies lately! Sounds great for adults too, I’d love this! I love absolutely everything about this! Pinned. 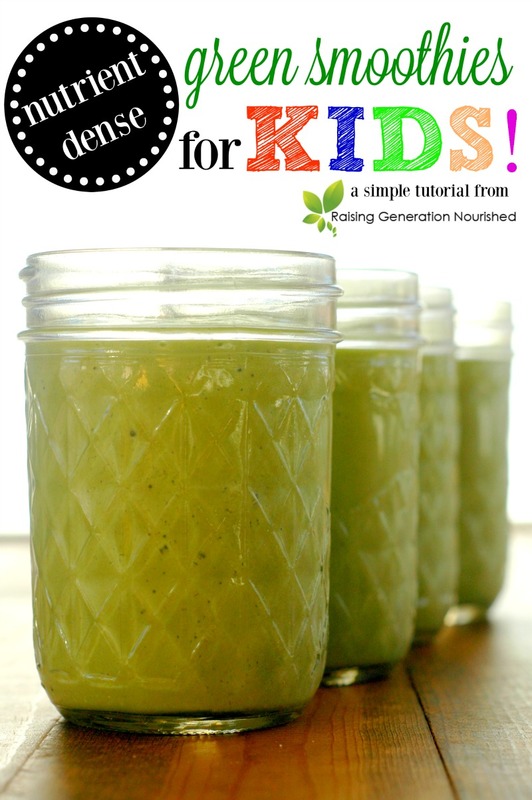 I already incorporated gelatin into my son’s smoothies after reading all your previous posts and molasses too! I have the Great Lakes brand but love to try the Perfect Supplements brand. I do agree with you that you can taste the gelatin flavor if you add more of it to your shake or smoothie. Also, I just got a Blendtec 2 months ago after waiting and researching for a year! I’m so glad did!!! I love this blender. Making smoothies is a breeze! Egg yolks! This should be called the Rocky Balboa smoothie. Hahaha! I use the whole egg, is there a reason not to use the whites? Also do you save the whites for another purpose? Thanks for the tip on the collagen, I am in the market for a good one and I do believe you have settled it! Hi Michelle! Raw egg whites can be rough on digestion per Weston Price principles, so raw whites are not something I would do all the time. I do save my egg whites for adding into egg scrambles! I can’t seem to find any avocado oil used for food consumption. Everything I see on Amazon says for massaging and putting on skin??!! Any suggestions on what is safe to use for my son who is 20 months old? Thank you for responding! What type of yogurt do you use? Stoneyfield whole milk plain yogurt is my usual – when I have enough of our raw milk left from the week I’ll make it!